Customer service is our priority. One more year one more award for our outstanding customer service. IndyLatina Maid Services Client satisfaction is our Priority. We are a Hispanic owned company providing maid cleaning services your home and office in the Indianapolis metro and surrounding area. 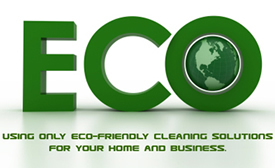 Cleaning is our business and love cleaning. 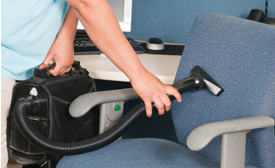 We provide quality cleaning services at a very competitive rate. Clean Houeses for us mean Happy Customers, so pamper yourself with professional maid service by INDYLATINAMAID and enjoy a sparkling clean home while having more time to relax and live your life! INDYLATINA offers its maid cleaning services to residents in the the Indianapolis Metro and surrounding area of Avon, Brownsburg, Carmel, Fishers, Geist, Greenwood, Indianapolis, Noblesville, Westfield and Zionsville. Our services also include office. Same rate. same quality!! All pricing is simple and affordable. Note Our rates are the most competitive in the Indainapolis Metro Area! LOVE, LOVE, LOVE the ladies who clean for this company. This was my second experience with this company and I can't tell you enough how wonderful they are. We are a Hispanic owned company and have been in business for over 5 years cleaning houses and offices in the Indianapolis Metro area. While we realize we are a small company, we always try to do our best job for each of our customers and treat their homes as if they were ours. We are proud of the job we do and are recipients of the SUPER SERVICE AWARD from Angies list. You can check all review from our happy customers there.